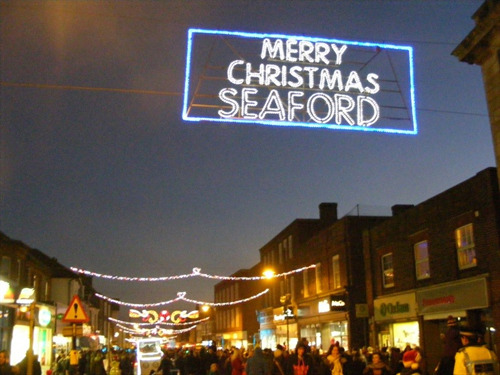 Seaford Christmas Magic Needs YOU! 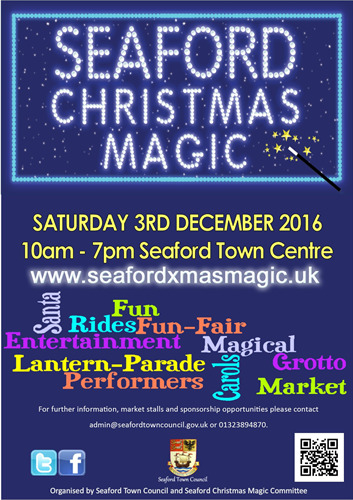 On Saturday 3rd December 2016, Seaford Christmas Magic is bringing a magical range of entertainment and attractions for the people of Seaford and the surrounding areas. This year includes 2 stages packed with live music, Fire Eaters, Jugglers, as well The Ice Queen and King! 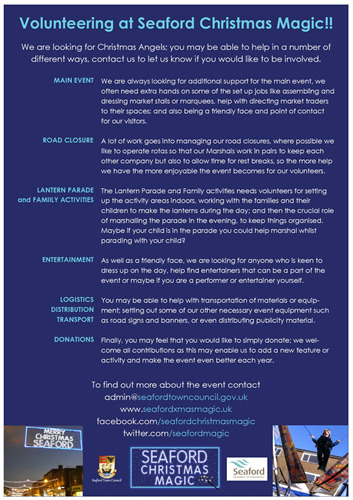 The Seaford Christmas Magic Team is looking for volunteers to help on the day and welcomes market traders too! If you can give a little of your time or support in other ways, we are looking for volunteers to help with the running of the event; there is stewarding on the day, setting up a marquee, road closures and transporting equipment along with many other tasks we need help with. If you would like to have a stall the last 6 marquee tables are still available to book now, so contact the organisers via email craig.williams@seafordtowncouncil.gov.uk , telephone 01323 872975 or through www.seafordxmasmagic.uk or Facebook www.facebook.com/seafordchristmasmagic/ before they sell out or to find out more! If you would like to bring your own stall, please do not hesitate to contact us as only 4 weeks remain to bag your space!